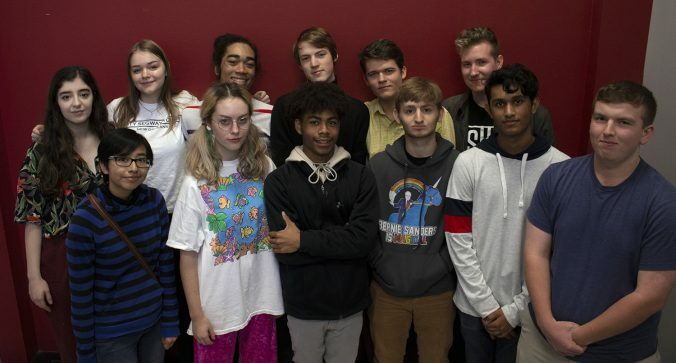 Fifty seniors from eight Houston Independent School District high schools have earned one of the top academic honors in the nation by qualifying as semifinalists in the 64th annual National Merit Scholarship Program. The students attend Bellaire, Carnegie Vanguard, Lamar and Westside high schools, DeBakey High School for Health Professions, Houston Academy for International Studies, Kinder High School for the Performing and Visual Arts, and Sharpstown International School. This entry was posted in Achievement/Recognition, News and tagged Bellaire High School, Carnegie Vanguard High School, debakey high school for health professions, HAIS, Kinder HSPVA, Sharpstown International School, Westside High School on November 16, 2018 by HISD Communications. It’s a bittersweet last first day of school for Kinder HSPVA senior Jorge Cordova. On one hand, he is excited to see his friends after summer break, but on the other, this will be their last year together. As a theater student who plans to be an actor, Cordova is thankful for his experience at the arts magnet high school. This entry was posted in Fine arts, News and tagged Kinder HSPVA on August 28, 2018 by HISD Communications.